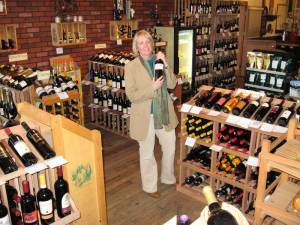 A happy customer showing off our wonderful wine selection. It’s very simple. We search for the world’s best wines and offer them at the best prices possible. Our selection is extensive and eclectic. Frank searches for wines not found on the shelves of the big box stores, preferring instead to focus on small production wineries. Spain, Argentina and Chile wines. The NorthWest. Washington, Oregon and The Okanagan. France… Bordeaux, Burgundy, Rhone Valley, Champagne, and more! California… Napa Valley, Central Coast, Lodi and Sierra Foothills. A comprehensive collection of fine Italian wines. The very best wines from Spain, Argentina, and Chile. A good selection from Australia and New Zealand. In addition, we also order select and vintage wines for individuals and collectors. When it comes to selection and prices we can’t be beat. We offer highly rated wines from around the world. Additionally, we take the time to seek out little known wines from small production wineries and find unmatched values for our customers. Quite often your purchase won’t live to see another day. And that’s okay! 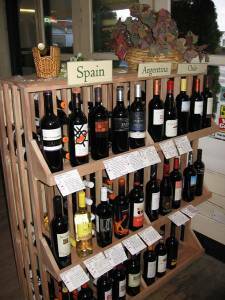 Most wines are consumed shortly after you buy them. Better wine (not necessarily more expensive) will benefit from a little bottle aging, and most Italian and French reds, as well as some California and Aussie reds usually require it to show their best. And it’s during this stage that you reflect on just how and with whom you are going to enjoy the wine; what food, what occasion. This is the rationale behind wine collecting. Some would even argue that this is the most enjoyable aspect. Regardless of your wine needs, you’ve come to the right place. You can feel confident in our experience and judgment when deciding on which Wines to choose.